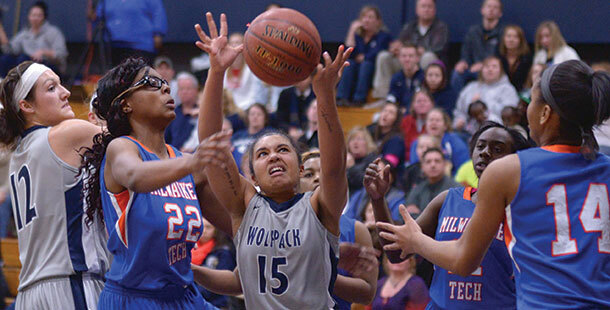 Madison College’s Gabrielle Hood (15) grabs a rebound on Feb. 8 against Milwaukee Technical College. With two games left before tournament play begins, the Madison College women’s basketball team hopes to return to its winning ways. The team has lost three of its last four games, including a 26-point loss to rival Rock Valley College and an overtime loss to Milwaukee Area Technical College. 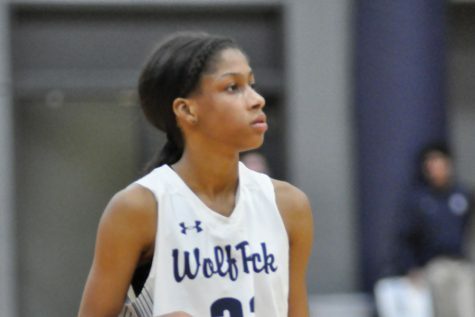 Madison College last two regular-season games come against opponents the team has already beaten this year – the College of DuPage and Harper College – and provide a chance for the WolfPack to gain momentum for the tournament. In its most recent game, the WolfPack fell to No. 1 ranked Rock Valley College, 91-65, on Feb. 15. Madison College was within striking distance at halftime, trailing just 45-36. But Rock Valley’s Shantiera Miller and Marqueisha Grant proved unstoppable. The two combined to score 54 points in the game. 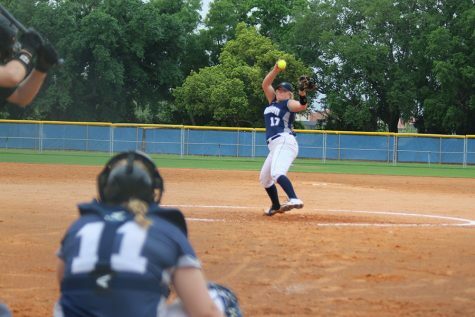 Madison College was led by Gabrielle Hood’s 13 points, while Kelly Calhoun added 12 and Chelsey Schulenburg scored 11. 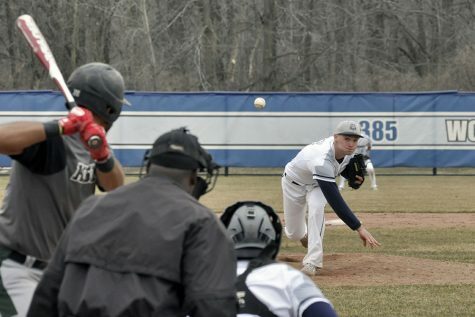 In its previous game, Madison College dominated Wilbur Wright College, 82-36, on Feb. 12. Meagan Mazur scored 19 points to lead the WolfPack. Alexandra Jackelen added 13, Lizzy Britt 12, and Kelly Calhoun 10 as four players scored in double figures. The squad’s Feb. 8 game against Milwaukee Area Technical College was the second time the two teams have gone to overtime this season. But this time, Milwaukee prevailed, 100-94, despite Mazur scoring 21 and Calhoun netting 20 for the WolfPack.